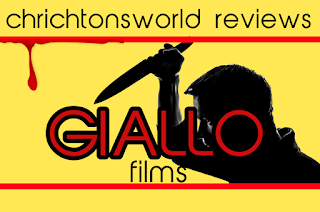 Chrichton's World: Review Tenebre a.k.a. Tenebrae, a.k.a. Unsane a.k.a. Shadows (1982): One of Argento's best! Review Tenebre a.k.a. Tenebrae, a.k.a. Unsane a.k.a. Shadows (1982): One of Argento's best! Tenebrae is one of those rare giallo's you can watch and enjoy multiple times even when you find out who the killer is. Since apart from the murder mystery there are many other elements that will demand your attention whether you want to or not. One of these elements are the women. Incredibly beautiful and gorgeous women. Unfortunately the majority of these women fall victim to an incredibly ruthless killer who has a companion who is even more relentless and deadlier than he is. You will know who I am talking about when the moment is there. Is there significance to these women getting killed? Of course there is. Although Argento doesn't elaborate on it too much since he wants you to make the connection yourself. Don't worry it's pretty obvious. 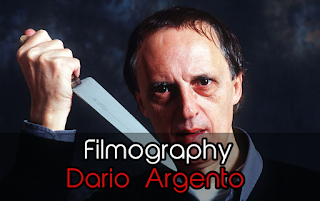 I read in another review that Argento was trying to poke fun at his critics and their criticisms. And in that light it does seem that the murders are bloodier and gorier than usual. Strangely enough it enhances the tension and dramatics since you don't want these women to get hurt or killed. Despite their flaws they don't deserve to be mutilated and killed like they are. So if this was done to cause agony to the critics the fans are the ones who are rewarded more giallo goodness. As in most good giallo's the style is just as or even more important than the story. And Tenebre is oozing with style. There are some scenes where Argento resorts to some super fancy camera work that reminded me of Sam Raimi where the camera almost seem to be flying. Then there are some events or sequences that play out like their own independent stories as if they were part from an ensemble film. Giving you more and different kinds of terror. Last but not least next to the spectacular camera work you have shots that are used deliberately to misdirect you. Sometimes with very shocking results. The soundtrack is brilliant. Again Goblin doesn't disappoint. How is it possible that this band isn't more famous? Their music is always more than just an addition to the atmosphere. It often is a character just as essential as any other character in the film. Overall Tenebre is a real feast for the giallo fan. It has all the elements you expect and then some. So without a doubt a must watch!